The first tikkun starts by showing the first letter of the Torah, which is the first word and first letter of the story of creation. This is where it all started. This is the point where spiritual and material meets. ב-ראשית is the entry to the supernal levels. This is the gate to YHVH and righteous people are permitted to come inside and others that are not righteous rejected from coming in. We find all that impressed from above, all the forms of the Light and the governing laws. They are also called Nefesh, Ruach and Neshama. Malchut reflect all that above and one of the meaning of the letter Bet ב, is the place where duality of spiritual and material exists. Keter point is the root for all that below. The formation of man that is Zeir Anpin is there. The four beasts of the Holy throne are impressed in Malchut. The Lion to the right, Chessed, the letter י. The Ox to the left, Gevurah and the letter ה. The Eagle in the center ו and lower ה is the face of man that shines in all four beasts of the supernal chariot. The king of all the animals is man that is the rider of the throne. He is יוד הא ואו הא form of the name YHVH and has the same numerical value 45 of man אדם. 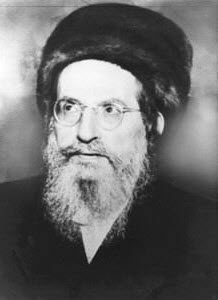 The Holy Shechinah in Malchut is the impressed light of man that is Zeir Anpin.